In my own words, I want to retell the article about sockets in PHP as applied to Debian which is originally at http://i-novice.net/sokety-v-php/. We're going to make the Echo Protocol which is a service in the Internet Protocol Suite defined in RFC 862. 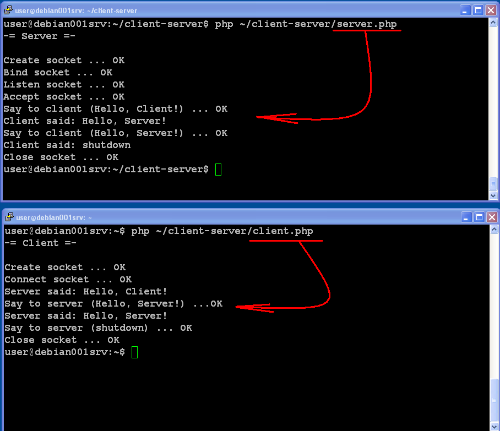 We shall need two modules: a server ("server.php") and a client ("client.php"). Either of them runs on one and the same machine. On Debian, open two SSH sessions: for the client and for the server. The Echo Protocol is working. Enjoy!